What kind of property can a couple with a household net income of RM8,000 buy today in Penang? My assumption is simple, both are working adults with 5 years experience. Wife is a manager and husband is a senior engineer. 🙂 Who says man must earn more than his wife? We also assume both do not simply buy whatever they like and does not buy things to show off to their friends and colleagues that they are so amazingly successful. Together, both of them collectively save just RM1,000 per month for the last 5 years. 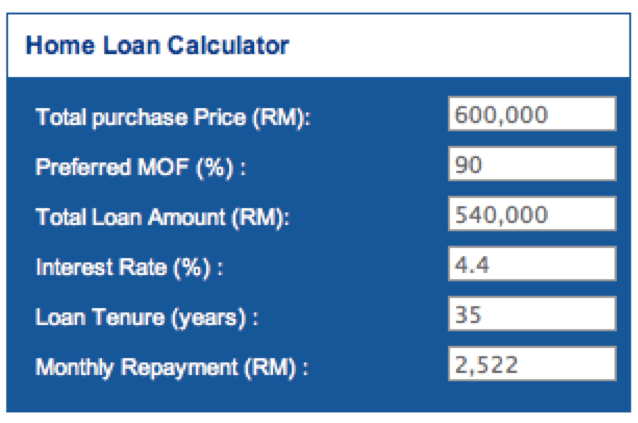 Thus, their total savings come up to RM60,000. Considering this is their first purchase, they can choose to pay 10% downpayment for a RM600,000 condo. Wait a minute, they cannot afford a RM600,000 condo. Is it not too highly priced for them? 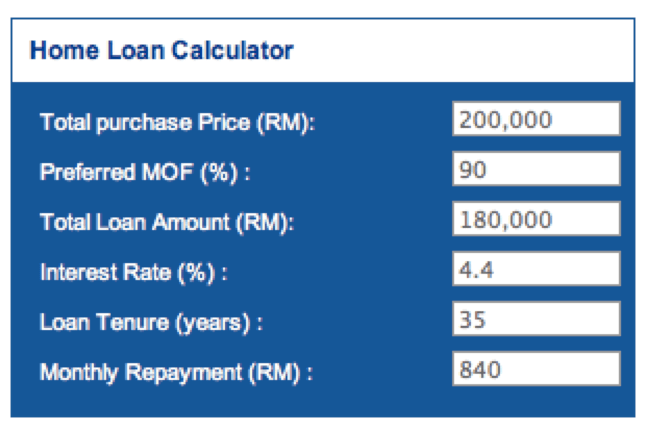 Based on a typical BLR – 2.2%, 35 year repayment period, the monthly repayment for a RM600,000 is just RM2,522. With some banks, it may be lower. This is 31% of their monthly net income which will grow if they work hard while their mortgage may stay almost the same unless the interest rate suddenly rises tremendously. Now do we know why for a few years, condo prices continued to rise from RM250,000 up to current RM600,000? Having said that I believe there’s a limit to how fast prices can go up. That’s why if you look at new launches recently in Penang, a few developers have gone back to more modest condos in Relau, Sg. Ara and pricing their condos at between RM450 – RM500 psf. Thus, the condo prices now start below RM500,000 and goes up from there. The important thing about property is, you, should buy one based on affordability, availability and your current salary. It is not about wait and see. Absolute agree with you. Some people think on buy a high price house for example 600-800k, which the income temporary for this moment unable to afford. My suggestion will be go for affordable monthly loan installment that could pay first, then slowly change to another high value house when affordable, which will more better than keep waiting and accumulate the cash.